We are a leading Manufacturer of pvc cables from Mumbai, India. 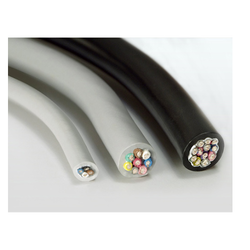 We are engaged in serving vivid demands of clients by offering an exclusive array of PVC Cables. Used in molding of various wires and cables, these compounds are sternly tested on variegated parameters so as to offer pure grade to our prestigious clients. In addition to this, customers can avail this compound from us at nominal price tags.